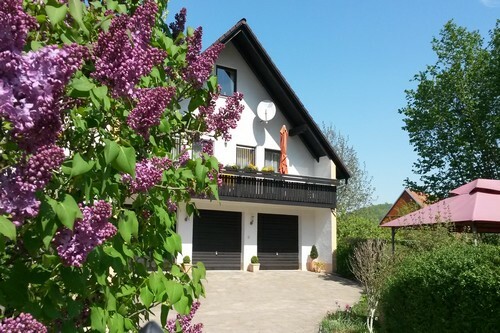 Our holiday cottage is situated at the outer edge of Burggaillenreuth in a charmingly rural area which cold Franconia Switzerland between Nurnberg, Bamberg, Bayreuth, Erlangen. 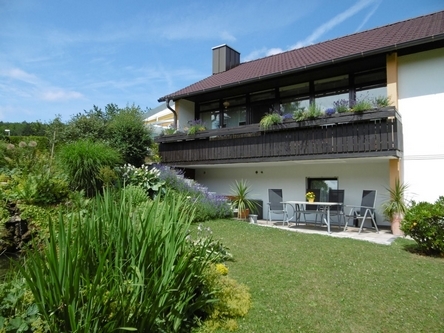 The cottage is classified with 4 Stars **** German Tourism Association. Dedicated walkers and hikers as well as devoted cyclists and motor bikers can start their tour right from their cottage all the way through the unique landscape of the Franconian Switzerland. The same applies for the cross country skiers in winter. In the village of Burggailenreuth you will find local restaurants/taverns. Also a peaceful quiet charming beer garten (Biergarten) invites to a meal and a refreshing beer – right next to the castle Gaillenreuth (Burg Gaillenreuth) from where you have an exceptional view over the picturesque Wiesent-Dale. The nearest outdoor and indoor swimming pool are approximately 7 km away. We can offer many and very interesting Outdoor Activity’s.